Photos. Framable Color Prints and Posters. Digital Sharp Images. Aviation Gifts. Slide Shows. 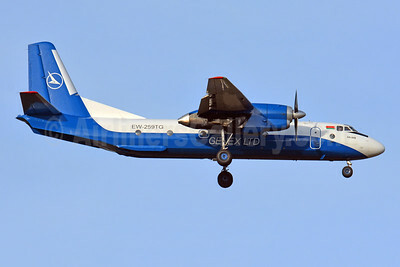 Genex Ltd. Antonov An-26B (F) EW-259TG (msn 12706) BSL (Paul Bannwarth). Image: 943466. 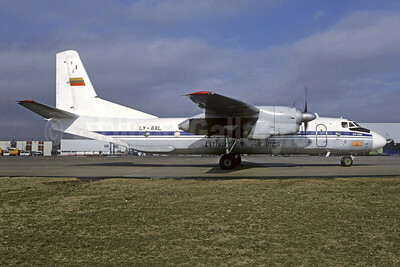 Lithuanian Airlines Antonov An-26B LY-AAL (msn 11503) (Aeroflot colors) CDG (Christian Volpati). Image: 920521.